NOW ACCEPTING APPLICATIONS FOR 2019/2020 position! The Internship Program at Cornerstone is for students looking to learn more about the horse industry, cow horses, and training versatility ranch horses. 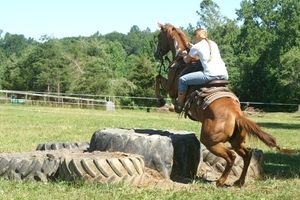 There is emphasis on starting horses under saddle and advanced horsemanship for all disciplines. Reliable, hard working, honest students are urged to apply. Duties include general barn help, feeding, cleaning stalls, grooming, helping warm up and cool down horses. Opportunity to advance horsemanship training and riding skills with young and finished horses, enhance employment qualifications, earn excellent reference for a job well done. Showing is a possibility. There is one full time, live-in, unpaid position at a time. Alcohol, drug, and smoke free Christian facility. Prior riding experience and 6 month minimum commitment required (1 year recommended, some have stayed longer). Contact us for more information. Eryn Bertrand, New Hampshire- June 2017- July 2018~ "My internship at Cornerstone Horsemanship was a fantastic step in building myself toward joining the horse training industry. I learned so much during my time here; so much more than I ever thought I would. 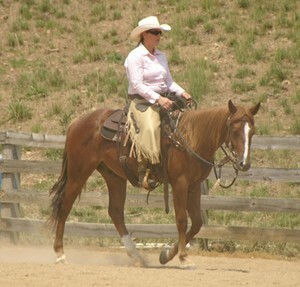 I was able to develop many important skills working with horses under the guidance of Charles and Michele. During my year at Cornerstone Horsemanship, I have been able to find opportunities to work with many different horses, of various ages, personalities, and abilities, in a fantastic environment focused on providing the best chances for success. While the work was not always easy, it was incredibly rewarding. With the support from Charles, Michele, and all the other wonderful people here, I have been able to meet challenges I never thought possible before coming here. This opportunity is an amazing way to learn and practice new skills, meet many people who share the same passion for horses, and to set yourself up on a path to success. Taking this opportunity to learn under such wonderful guidance, and with such a strong support system, was the best thing I could have done to prepare myself for an industry that takes a lot of hard work and determination. Best of all, being at Cornerstone Horsemanship doesn’t just mean being an intern; it means becoming part of a wonderful family filled with people who want nothing more than to help you become the best you can be. I am forever grateful for having had this opportunity, and all that I have gained from being here. Amber Greenshields, South Australia- May 2016-May 2017~ "Deciding to come all the way from Australia to spend a year with Charles and Michele was the most rewarding decision I have ever made. Leaving behind family and everything I knew, I built a life in Virginia and made friendships that will last a lifetime. Charles and Michele have taught me more than I honestly thought I'd ever learn about training horses. Their patience and determination to mould me into the best version of myself that they could in the short time they had, is something I feel I could never repay them for. My whole perspective on horses was blown out of the water when I arrived. I came here thinking i had a pretty good idea on what a good horse looked like and was confident I could ride a good horse. After spending a year under their wing I have come to realize that my judgment was far from correct. They were outstandingly patient with me and always encouraged me and nudged me further when I felt I couldn't do it and became discouraged. For me that has been one of the most valuable things they did. Both Charles and Michele are very gifted horsemen and it is a thrill to watch them ride, and know one day I will be as good as they are, and I have them to thank for that! Their faith and love of the Lord is the foundation of their business, their life, and their home. It is comforting to know that it all boils down to the same thing-our good God. And what a mighty thing they are doing for the kingdom! I will forever be grateful for all that I have learned and the strong relationship I have built with Charles and Michele. My year here will always hold a very special place in my heart. See you guys in the show ring!" Breanne Copenhaver, Pennsylvania -August 2015 to June 2016 ~ "I had searched for an internship working with horses for many months before finding Cornerstone, but when I found it I knew it was where God wanted me to go. Growing up on a dairy farm made me understand the discipline of hard work, but here at Cornerstone I got to work exclusively with my favorite animal. I thought I knew a lot when I came but Charles and Michele have taught me so much in the short time I have been here. They are very good at explaining why we do what we do, and why the horses react how they do. Not only has my knowledge of horses grown, but my faith and trust in God has grown as well. God has definitely stretched and molded me into a better horseman and a more mature Christian while I have been here. Philippians 4:13 I can do all things through Christ who gives me strength." Conner Puryear, Virginia-July 2014 to October 2015 ~ "Charles and Michele are truly wonderful teachers. I grew up around horses and as a young boy enjoyed riding & working with them. Charles and Michele have done a wonderful job in breaking the instructions down and teaching me to communicate with the horses, as well as reading the horse and giving me the confidence with training the horses. Interning at Cornerstone has changed my life in more than one way. By being here I have come closer to God through Horsemen's International Ministry. Charles and Michele have been my biggest mentors. They make it feel like home. Not only have they taught me about horses, but also life lessons. I would not give this year back for anything in the world, and what I have learned here I will use for the rest of my life." 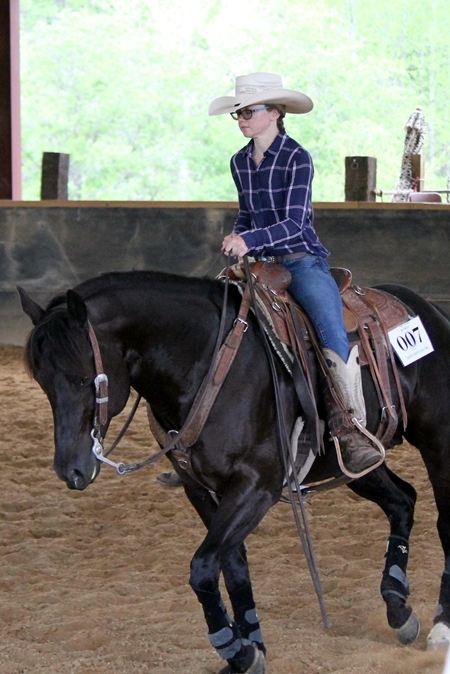 Sarah Ferreira, Massachusetts -August 2013 to October 2014 ~ "I was truly blessed that God led me to Cornerstone Horsemanship. I didn't know much about training horses when I first got there, but Charles and Michele did a wonderful job teaching me to feel confident working with horses of all ages, disciplines, and levels of training. Their style of teaching made it easy to understand what you were learning and gave me the skills to know I was doing it right. They really made it feel like home and taught me a lot about life and God as well. Charles and Michele are wonderful trainers, friends, and mentors; I will use what I have learned here for the rest of my life." 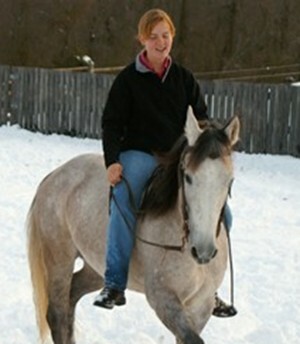 Natasha Cole, Maine-February 2011 to September 2012~ "Cornerstone Horsemanship has changed my life in more ways than one. My whole outlook on horses has changed. I thought I knew a lot about horses but going through this program has taught me how to read horses in a different way, to think differently about reactions they make, and to feel confident in myself that I'm doing the correct things, not only on the ground, but on top of the horse as well. Horsemen's International Ministry has brought me closer to God and helped me figure out what's most important in life. Jeremiah 29:11 "For I know the thoughts and plans that I have for you, says the Lord, thoughts and plans for welfare and peace and not for evil, to give you hope in your final outcome." Alex Tucker, July 09 to August 2010, Virginia~~"Working with Charles and Michele has been absolutely amazing. I thought I was doing a decent job of training horses before I started my internship, but I can't even begin to tell how much I've learned. They've taught me skills I'll use every day to start youngsters, tune up more finished horses, and run a training facility. I have had countless opportunities here that I otherwise would not have been exposed to. Charles and Michele have been great friends and esteemed mentors, I'm sure I'll still be learning from them for the rest of my career." Samantha Kelley, November 08 to July 09, Pennsylvania~~"I am truly blessed to have been given the opportunity to intern with Charles and Michele, most definitely surpassed my expectations I had before coming there. Both are extremely gifted with horses and truly dedicated to what they do. They have brought my horsemanship to a whole other level through their easy to follow and effective teaching skills and incredible wealth of knowledge. I truly believe you could work with those two everyday and always end up learning something new. They never failed to make it feel like home and have given me many unforgettable memories. Charles and Michele have both been wonderful mentors and friends; my stay with them was an incredible experience. I could never thank them enough for all they have done for me."